I do not need a photo to prove my kids were head over heels for this one! If me and the kids had our way, we’d be eating breakfast food morning, noon, and night. And at the top of our list would be French Toast! 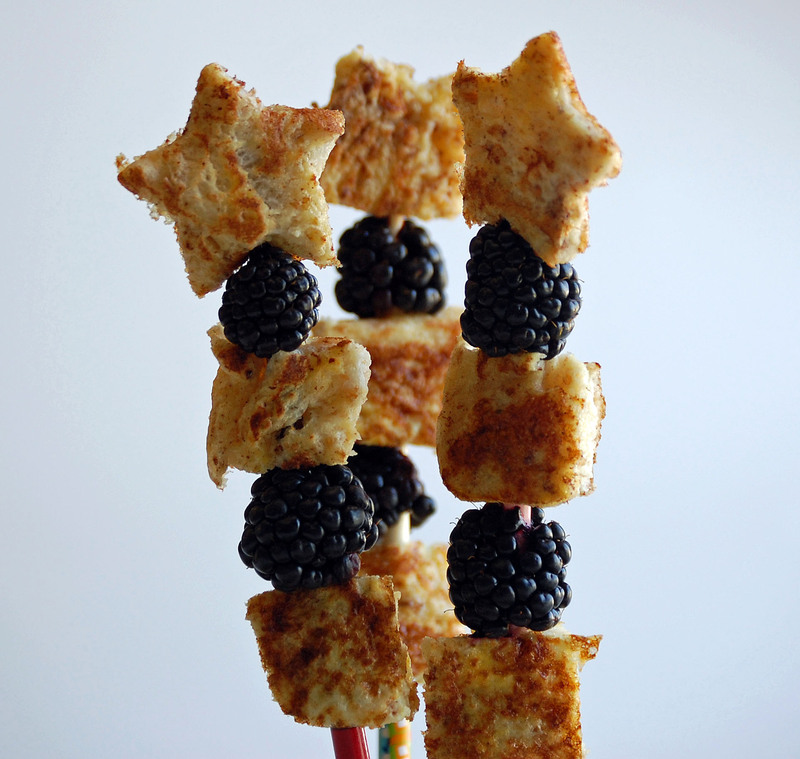 This time, we skewered (with chop sticks) the French toast with blackberries. Then I made a blackberry syrup– more like a sauce. This was a fun way to eat French toast, because we could dip the Kabob into the sauce, rather than pouring it over our plates. For the blackberry sauce. I used 1 cup of frozen blackberries. Placed in a pot and simmered until runny and warm. MMMM. this was really good! Vitamin C… 1 cup has 50% of your daily needs. blackberries are rich in antioxidants (the darker the fruit the better) and have shown to reduce inflammation, and fight free radicals! Your kids should eat them because they are DELICIOUS!! Right now blackberries are in season. 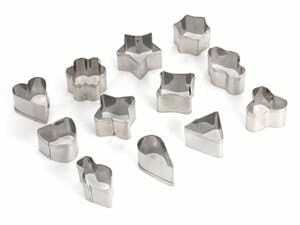 We just picked up a case, 12 little containers, for $8.00! Mix all ingredients together except the bread. Cook bread on hot skillet until both sides no longer show wet eggs. 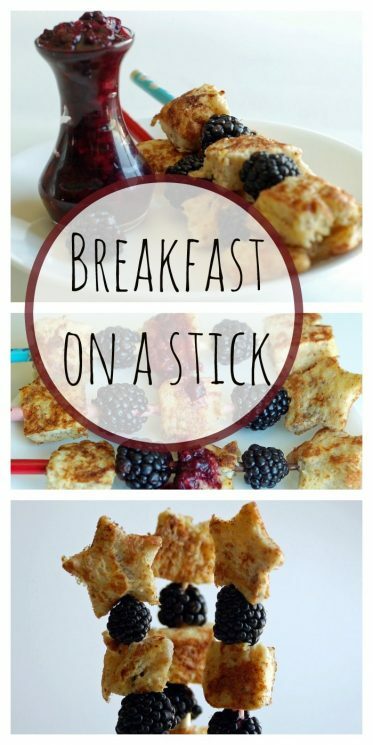 Top with real maple syrup, fruit, or yogurt. Heat over low/medium heat in a sauce pan until it begins to breakdown like sauce and thicken. Great idea. I love the presentation. What a great idea! I love blackberries and that looks so good! 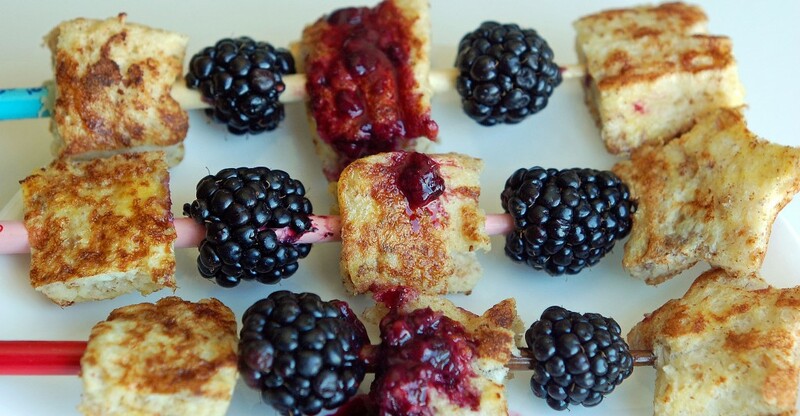 I love the french toast with blackberries on a stick idea. We’ll have to try that. Where did you find the blackberries on sale? It was last week at Kohlers! Already gone 🙁 I should have called you!! What a great idea! I’m sure kids LOVE that! Fun!! And the sauce is so easy (why didn’t I think of that?!) I was buying 100% pure maple syrup, but that has become very expensive. Thanks for the ideas. I cannot wait to try this! Thanks! My kids love to eat things with toothpicks. If a plate gets pushed away I just add toothpicks and it is like I have given them a different meal. I can’t imagine how excited they would be to have everything on one stick and to be able to dip it into something- that’s perfect. We are totally going to have that tomorrow! Amy, this is SO CLEVER! I love the star shapes. 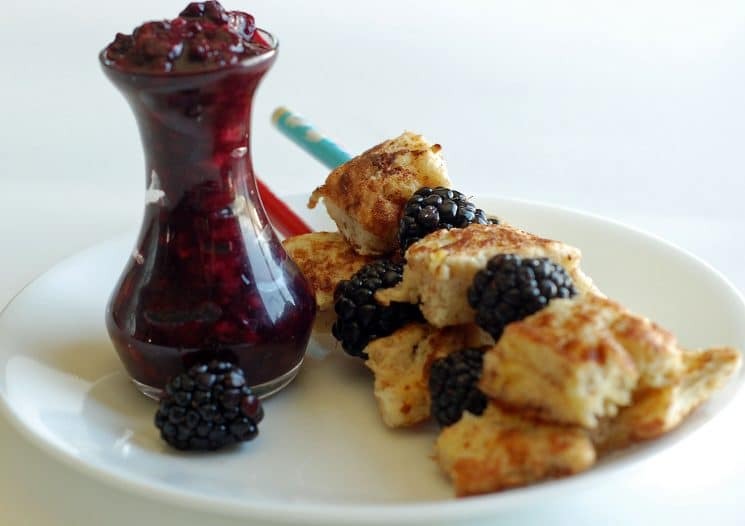 What a great way to incorporate french toast AND fruit. ummmmmy… I love BBQ style food. Its healthy and tasty same time. Oh boy, I am a little desperate in my attempts to get my 16 month old to eat better. He has become increasingly picky and I have been reduced to feeding him pretzels, oatmeal, pasta, and raisins. BUT NO MORE…This week is GET-BACK-ON-TRACK BABY BOOT CAMP for healthy eaters!!! Wish me luck…this really looks yummy! After reading it I believed it was highly enlightening. I appreciate you spending some time and effort to put this post along.